The UEE30811 Certificate III in Electrotechnology Electrician from Major Training is designed to lay the foundations for a career in this growth industry. Training and assessment leading to recognition of skills must be undertaken in the workplace environment and this qualification requires all units of competency to be delivered in this context. This qualification provides competencies to select, install, set up, test, fault find, repair and maintain electrical systems and equipment in building and premises. It includes ERAC requirements for an ‘Electrician’s licence’. While there are no formal entry requirements for this qualification, for an apprentice pathway the learner must be employed full time or part time and have access to a workplace to be able to gain sufficient experience to successfully complete the Unit of Competency requirements. Apprenticeships & Traineeships across Brisbane, Gold Coast, Sunshine coast, Morayfield, Ipswich & South East Queensland. More flexible options rather than the traditional trade schools – Flexi classes & tradition block training available. Apprenticeship arrangements are over a Nominal Term: 48 Months, criteria applies. Available to start throughout the year. Did you know that the government can provide up to $10,500 in incentives for employers, if your apprentice completes a Certificate III in Electrotechnology? Funding support and employer incentives may be available under the Australian Apprenticeships Incentive Program if the relevant criteria are met. User Choice and self-funded options with up to 12 months interest free are also available. For course fees, please enquire. 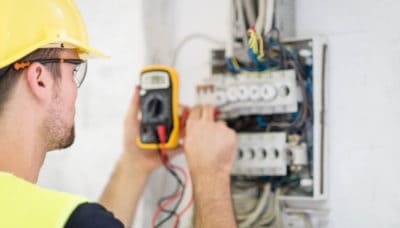 If you you want to become an Electrician this nationally recognised Certificate III in Electrotechnology Electrician will teach you the skills you need to kick start your career. Please phone our office on 1300 790 822 to discuss your Licensing and training requirements or enquire online. There were no scheduled courses available. Please contact us for more information. Call our office on 07 3489 7733 for specific course and enrolment information.